The justice sector services aim to contribute to a safe and secure community and promote a law abiding way of life. Deliver services relating to preserving public order, investigating crime and apprehending offenders, improving road safety and supporting the judicial process. Arbitrate on criminal and civil justice matters. This Report focuses on administrative support functions for the courts, such as management of court facilities, services and staffing and the provision of case management services. Judicial decisions and outcomes are not included. Administer correctional sanctions imposed by courts and orders of the adult parole boards through the management of adult custodial facilities and community corrections orders, and the provision of programs and services to prisoners and offenders. Legal aid, public prosecutions and tribunals are not included as service-specific chapters in this Report. Justice services for children and young offenders (predominately related to youth community corrections and detention) are covered under youth justice in chapter 17 of the Report. Detailed information on the equity, effectiveness and efficiency of service provision and the achievement of outcomes for the Police, Courts and Corrective service areas is contained in the service-specific chapters. Note: Attachment tables are referenced by table xA.1, xA.2, etc, with x referring to the chapter or overview. For example, table CA.1 refers to attachment table 1 for this sector overview. Total government expenditure for the justice services in this Report (less revenue from own sources) was almost $17.2 billion in 2017-18 (table CA.1), around 7.3 per cent of total government expenditure covered in this Report. Police services was the largest contributor (65.1 per cent), followed by corrective services (25.7 per cent) and courts (9.2 per cent). Nationally, expenditure per person on justice services was $694 in 2017-18 (table CA.2). For criminal matters which come to the attention of authorities, the typical flow of events is investigation by police and, if charges are laid, adjudication by courts with subsequent sentencing if applicable and possible entry into corrective services (adult prison, youth justice or community corrections orders). The roles of police, courts and corrective services, and the sequencing of their involvement, are shown in figure C.1. a Does not account for all variations across Australian, State and Territory governments’ criminal justice systems. b The flow diagram is indicative and does not include all complexities of the criminal justice system. c Ex officio indictment refers to a decision by the Director of Public Prosecutions (DPP) to commence criminal proceedings in a higher court without a committal hearing, or where a committal hearing did not result in a case being committed to trial in a higher court. 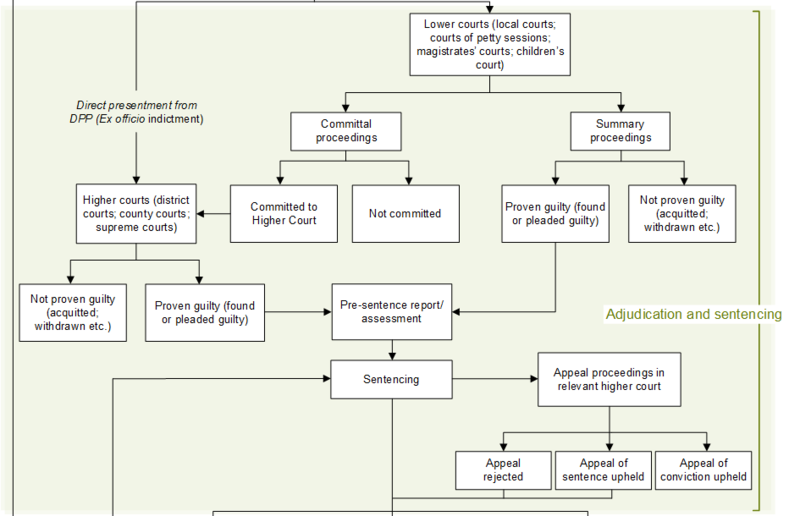 Figure C.2 is an indicative model of the flows through the civil justice system. While the emphasis is on the flow of disputes which proceed to court, the role of alternative dispute resolution processes is considerable in civil justice in part as it is more available as an early alternative to court adjudication. a Does not account for all variations across Australian, State and Territory governments’ civil justice systems. 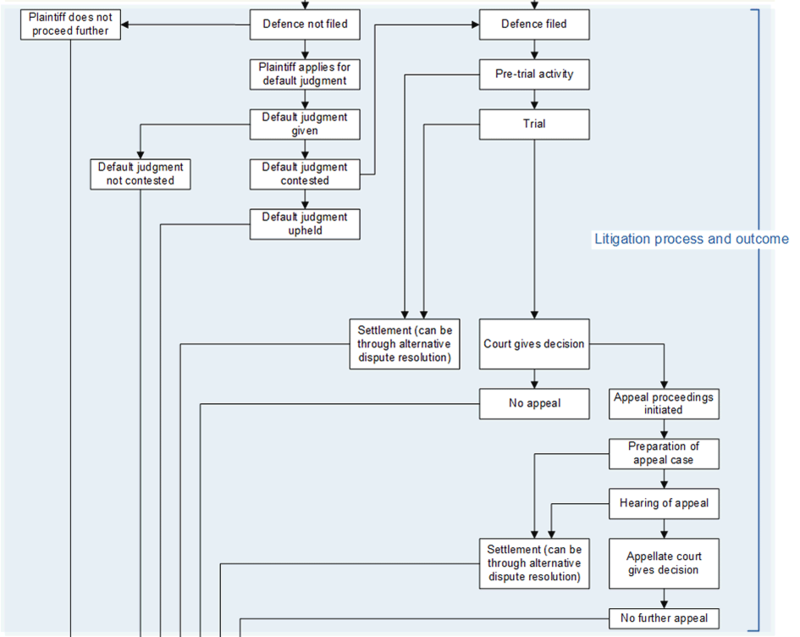 b The flow diagram is indicative and does not include all complexities of the civil justice system. One sector-wide proxy indicator of governments’ aim to contribute to a safe and secure community and promote a law abiding way of life is reported. Re-offending rates show the extent to which people who have had contact with the criminal justice system are re-arrested or return to corrective services (either prison or community corrections). Low or decreasing rates of re-offending may indicate a safer and more secure community environment and the promotion of a more law abiding way of life – however higher rates may also indicate more effective policing and detection of offences. Re-offending rates is a proxy indicator as it only reflects those people whose re-offending has come to the attention of authorities (some offences may go undetected by, or unreported to, police). The restricted time frames for measuring re-offending (one year for police proceedings and two years for return to corrective services) will also underestimate the proportions of offenders who have repeat contact with the criminal justice system beyond those time frames. the proportion of adults discharged from community corrections orders who returned to corrective services (either prison or community corrections) with a new correctional sanction within two years. In each State and Territory (except WA for whom data were not available), of people aged 10 years or over proceeded against by police in 2016-17, about one-third or less were proceeded against more than once during the year (table CA.3). The data represent each separate occasion that police initiated a legal action against a person. Depending on the type of offence committed, police will either initiate a court action (laying of charges to be answered in court) or non-court action (which does not require a court appearance, for example warnings and penalty notices). In 2017‑18, 45.6 per cent of prisoners released in 2015-16 had returned to prison with a new sentence within two years (some of those returning to prison may also have received community corrections orders). In total, 54.2 per cent of released prisoners returned to corrective services (prison or community corrections). Nationally, these rates have increased over the last five years (figure C.3). In 2017-18, 13.6 per cent of adults discharged during 2015‑16 after serving orders administered by community corrections returned to community corrections within two years, and 23.1 per cent returned to corrective services (prison or community corrections) (table CA.5). a See table CA.4 for detailed footnotes and caveats. b Rates for a financial year relate to prisoners released two years prior to that reporting period who returned within two years of their release date. Source: State and Territory governments (unpublished); table CA.4. Amended data for real recurrent expenditure (less revenue from own sources) for historical years 2013-14 to 2016-17 for Police Services and Total Justice sector.